Whether you’ve just started losing your hair or it’s all gone, Hair Club Manchester has proven solutions for men and women of every age with every level of hair loss. Let us customize a hair loss solution for you so you can live life to the fullest. Situated just blocks from the Palace Theatre, Hair Club Manchester serves the hair loss needs of clients from communities all over New Hampshire, including Bedford, Hooksett, Auburn, Candia, Weare, Litchfield, Londonderry, Goffstown, Deerfield, New Boston, Deering, Francestown, Raymond and more. Visit Hair Club Manchester for a free hair and scalp analysis with one of our trained experts. Together, you’ll determine which of our proven solutions is right for you. Don’t wait another minute—take the next step toward experiencing life in a whole new way with hair that makes you feel confident! Visit Hair Club Manchester today and take the next step toward getting your hair back. Hair Club Manchester is located in a 3-story, tan building on Wall Street. PARKING: There are 8 available spaces (2 designated “handicap”) located at the end of Wall Street to the right. The additional free parking in the adjacent lot on Spring Street is no longer reserved numbers. You can park anywhere in that lot. Be sure to sign in at the front desk to assure you won’t be towed. IMPORTANT NOTE: If using a GPS system, use the zip code. There is more than one Wall Street in Manchester. On weekends and after 6pm on weekdays, the main door is locked. Use the call box located to the right of the door. Press the black button and the number 1. This will allow us to open the doors electronically. Kristen leads consultations for hair loss sufferers. She determines the progression of a client’s level of loss and which proven solution is right for them. Kristen joined Hair Club in 2014 and has been a licensed cosmetologist for 30+ years. Kimber joined Hair Club in 2012 and oversees center operations, including upholding a high standard of customer service. She is dedicated to leading a team that’s truly invested in helping clients achieve their hair restoration goals. I have been a member of the Manchester NH Hair Club since May 2001 and it has been great having hair again! The staff could not be nicer or more professional. I would recommend the club to anyone who would like to look fifteen years younger again. Manchester is an outstanding center in the Hair Club Network. I have lived several places in the past 15 years and this center rates at the top of the list. The accessibility makes it a great choice in the greater Boston area. The entire staff is very friendly, courteous, and professional. They are very accomdating if something comes up and I have to change my appointment. I extremely satisfied every time I visit this center!! HCM changed my life....one of the best decisions of my life. Love these ladies. I have been going to Hair club for men in Manchester N.H for just over 2 years. Heather does my monthly hair checks and she is great. Seems like the product is working although its not as fast as i would like its definitely better then losing the rest of my hair. I would recommend this treatment to a friend and highly recommend Heather. I have been a client of H.C.M. since the mid 80's.Starting out in Boston Ma.I didn't like it there at all.Seemed like i was just a number in a big room full of cubicles,but since i started going to the office in Manchester nh nearly 20 years ago its been great.The staff is very friendly,and personable,and your always in a private room with your technician which means allot to me.i can honestly say that i have never had a bad experience at the Manchester H.C.M. office.Everybody there is very professional,and caring.It is a very comfortable place to be. I have been a client of H.C.M. for over 20 years. However I have been a client of the Manchester location since 2002. I have had the same technician since my first appointment in Manchester, NH office. Kim Vitti instinctively new what my needs were and it has been that way since. My technician Kim Vitti, Lisa who was sales manager and Kim the Office Manager assisted me through some personnel tough time. But I was still treated like a V.I.P.. However, they always maintained that professionalism one would expect, but always with a personnel touch. H.C.M. SHOULD BE PROUD. Unfortunately life deals unfortunate twists. I became extremely ill and have to use a roller walking device. No matter where I went I felt self conscious and out of place. When I saw my technician Kim Vitti for the first time after months of recovery, I was given a wonderful V.I.P. greeting from her and all the staff. However the second thing Kim said was let's go and bring Wally with you. That was the first time I felt comfortable in my own skin I laughed all the way down the hall. See the staff always made me feel like a V.I.P., but on that day Wally the walker and I never felt out of place again. Now that is service like no other. The products are outstanding maintaining that natural look. Every client just needs to use them. When I had system problems Lisa the Sales Manager and Kim Vitti addressed the issue in less than a day. The new receptionists brings a new light as well as the new Sales Manager. So in summary I am grateful to the N.H. H.C.M. and 98% are spectacular. I can't name you all, but you know who you are and you all deserve the ultimate recommendations from the UPPER, UPPER MANAGEMENT. Dealing with individuals and their appearances can not always be easy. Unfortunately not all people are easily pleased. Nevertheless, you all do it with a smile. My technician Kim is without a doubt the best of the best. I'm sure all the technicians shine with their clients, as I shine with my technician. In closing H.C.M. gave me confidence and strength. The staff gave me courage to go on and fight the bad days, enjoy the good ones and call if there is a problem. I take them for their word and that's what I do until my next appointment. Excellent staff and service. I can't say enough about how at home everyone at the Manchester HC make you feel. Keep up the Great work! PS It's nice to have hair that looks real! At HCM in Manchester,NH, I've had nothing but great experiences. The staff is very professional and helpful and they make you feel like family every time I go there. Been a client for most of my Life and would recommend them to anyone. The professional staff have created a welcoming environment, and there is a stylist perfectly suited to each client's individual preferences. I have been a member for over ten years, and I still feel like a VIP on each visit! I have been a client for more than 25 years, beginning my Hair Club experience in Boston. 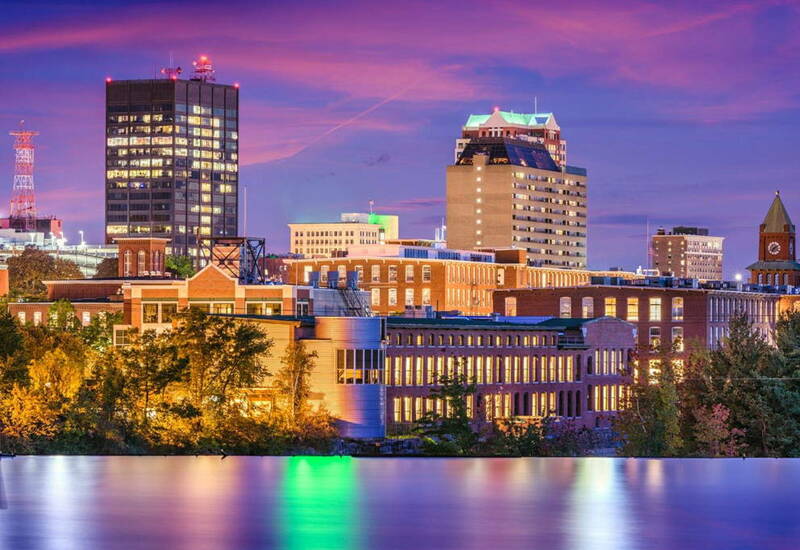 The Manchester, NH office has provided great convenience along with an exceptional staff. The quailty of the program, the products, and talented, friendly, and professional technicians provides each client with the confidence in appearence necessary to be successful in any endeavor. I have been working with Kim Vitti at the Manchester office for years now and I couldn't be more happyer with the service. If you are looking for a relaxing profestional enviorment you should drive the extra distance it is worth the drive. I drive 3 hours one way to visit the center and love working with the staff here. Thanks guys you are doing a great Job. Let's put it this way. I have been a HC customer for more than 11 years. Duing the whole time, I am always happy with the professional services provided by their staff. For those who out there that have the need, you should seriously consider HC in Manchester. I am Extremely satisfied with Hairclub. I was debating from last two years and I finally made decision to visit this center. I would like to start with Ms. Jena Lawn who is very generous and extremely helpful person. She went above and beyond to help me out with all of the info and creating my hair style. Ms. Lisa and Jena had put great amount of efforts to help me with financing this treatment. Lisa, Thank you so much for finding different financing option for me!!! How can I forget my best hair stylist, Ms. Kim Vitti...she is very down to the earth and one of best hair stylist I've met. I had a concern that once I am done with my treatment, am I going to get the same type great service?? ?...and the answer is yes, I did. After my treatment, I had to make 2 visits, and Kim Vitti was very very kind to help me out in managing my hair style. Now, what can I say about the Front Desk staff..they are Fantastic. They are very very courteous, kind and helpful..I would like to say Ms. Kimber is very generous and provides an excellent service!!! I am also impressed with Ms. Jessica's courteousness. She is also very kind and very helpful. I hope, I'll receive the same great service in the future as well. I am Extremely Proud to be a Member of Hair Club since 2009. When I first walked in, I did not know what to expect. My fears were quickly allayed by Consultants Gino and Lisa. They explained to me in full detail of what Hair Club is and what they could do for me. They did not hesitate to answer all the questions that I had for them. They were both honest, as well as detailed with the answers,and all done in a professional manner. I can say without a doubt, that this is a Truly Professional as well as an Honest run Business. My current Stylist, Mrs. Kim Lavigne is a Down to Earth Professional as well as sincere and extremely considerate. All the other Stylists, as well as the current, (always smiling) Receptionist Kimber, and Jessica who has since been promoted,and still with the the Manchester Office,are always extremely cordial,friendly,down to earth,honest, and have made me feel that I am a part of one Big Family there. Special Thank You's also to Ms. Jenna Lawn, and All the other Stylists both now and in the past who I have had the pleasure to know Then, Now, and in the Future. I feel so Humbled to be a part of the Best Hair Club right here in Manchester,NH !! I have been a member of the Manchester NH Hair Club for over a decade and it has been an overall wonderful experience. The staff could not be any nicer. I would recommend it to anyone who would like to look good and have hair again. I have been at HCM- Manchester for 12 years. The staff has become like family to me. They do impeccable work with a great product. I would highly recommend the HCM products &amp; the whole staff there. My experience at the Hair Club in Manchester NH has been wonderful. They make me feel special and they are always there for whatever I need. I have been going there for 2 years and would highly recommend it to anyone who has a hair loss problem. There are so many ways to get that feel good feeling back about yourself. When you look good you feel good! From the moment I walked into Hair Club, I was made to feel welcome. I spent over an hour with the consultant, who answered any and every question that I had. He even offered me coffee! The stylist made sure I looked great. When my wife came to pick me up, the look on her face told me I know I had made the right choice. I feel more confident with my appearance and would recommend Hair Club to anyone you suffers from hair loss. -Eric P.